Pure Spa Direct Blog: Will my Gelish LED Light Cure CND Shellac Polish? Will a Gelish LED Light Cure CND Shellac Polish? This is a hotly debated issue on the nail chat boards, but all the back and forth seems to be based on manufacturer claims and conjecture. From what I understand, both CND and Nail Harmony say no. But I am a scince guy and on the simplest level, I thought UV light falls in certain range of wavelengths and the power. The cure times seem to be based on the power output of a lamp -- more power = short cure times. But, before digging deep in to the science, we figured we'd try it. We cured the same color CND Shellac under a CND Shellac Lamp and a Nail Harmony 9G LED Lamp. And the drum roll please... both cured the same, both looked the same, both felt the same and both lasted the same. So YES it works! We are assuming CND simply wants you to buy the CND Lamp and they don't offer a LED lamp, so they don't want you to use one. We are also assuming Nail Harmony was the first with a LED Lamp and so they wanted another strong point of difference favoring their product (other than than 72 color choices, all in stock, and longer manicure life of 21 days). The only difference is the cure times. The Gelish LED is more powerful and has a slightly longer wavelength (still in the UV range) which drastically reduces cure times over UV Bulb Lamps. OK, so what is the big deal about using the LED UV Light? Time. How much time? Based on the following chart, about 9 minutes saved per manicure... 18 minutes if you do the thumbs separately like most nail tech do. And as we all know, time = money. Quicker service time means happier customers and more customers per day for you. LED UV Lamps are totally worth the higher price. And, as an added boon, the LED Lights don't lose power over time. UV Bulb lights usually need new bulbs every 2 months or so, but LED UV lights have the same power day in and day out for about 5 years! FYI for the Geeks like me -- Ultraviolet (UV) light has a wavelength shorter than that of visible light in the range 10 nm to 400 nm. The bulb UV lamps typically have two peaks of output wavelengths at 253.7 nm and 185 nm. 85% of the UV produces by these lamps is at 253.7nm and only 5-10% is at 185nm. The UV LED lamps have very limited output below 365nm. LED efficiency at 365 nm is about 5-8%, whereas efficiency at 395 nm is closer to 20%, and power outputs at these longer UV wavelengths are also better. Está tudo, li a tua pagina e simpatizei tanto,estou ver que estás a escrever muito bem! Continua com o bom espaço! I have a two handed 54 watt from CureUV. It has been doing just fine on Gelish and Shellac under the recommended curing times. Can the curing times be reduced on this lamp since it is 54 watts vs 36 watts? Thanks for the info... love the blogs! Will shellac also work with the GELeration led lamp too? As I'd like to change to shellac. ??? I'm wondering if the RCM LED Pro lamp will cure Harmony and IBD LED/UV gels? I wish the brands were standardized to include curing specs on lamp wattage and photo initiators in the gels individually. Especially since darker colors can benefit from 15 seconds depending on lamp. *Just an example - not for instruction. Any guidance would be appreciated. Here are the LED/UV curable brands on one handy spreadsheet. I'd need another column for LED lamp curing guidance. Who in their right mind would want a non-interchangable LED SOG brand lamp? Is there a difference between the nail harmony 9G lamp and the 18G lamp when curing the shellac brand? 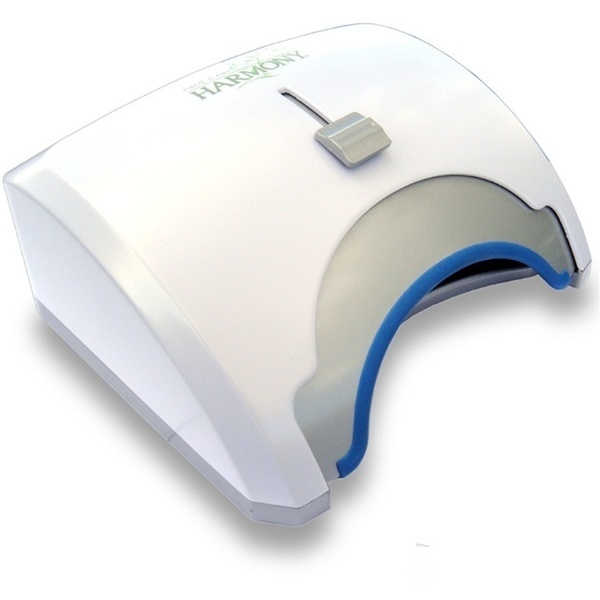 Can you use shellac polish with a Sensationail LED lamp? I have the new opi led lamp. Will this work with shellac? So helpful; truly appreciate this post. I am DIY professional w/o time or energy to go to salon. As a medical professional was concerned by UV exposure, so pleased to be able to use Shellac with LED. Great information! Definitely answered my question - Can Shellac be used with LED lamp? Tilt Your Neck Pain Away! COLD Spray Tans Hurting Business? Kill the Chill! Think Green... Cirepil Green Wax, That Is!